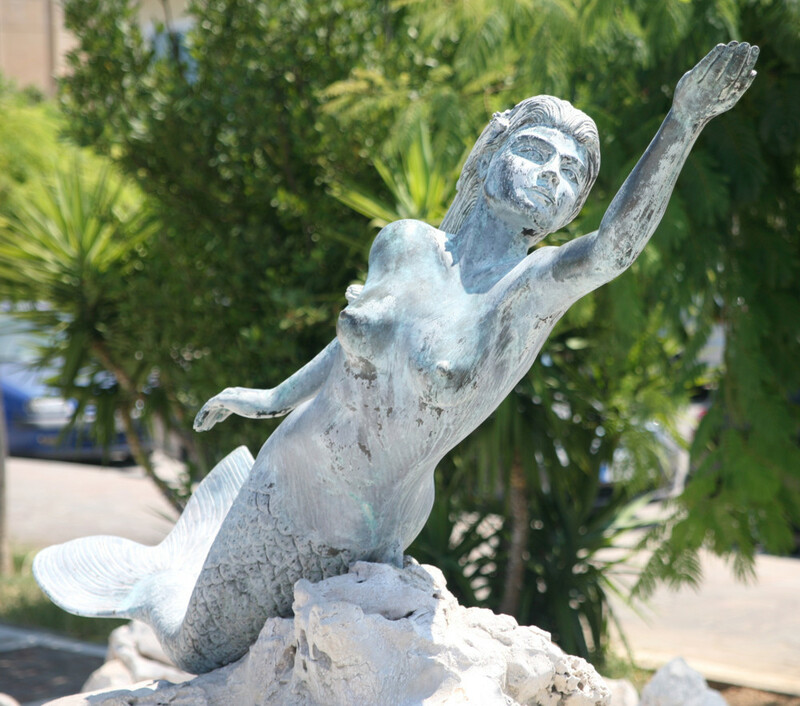 The mermaid statue was created by sculptor Giorgos Xenoulis of Athens, who also created the mermaid statue on Syros. 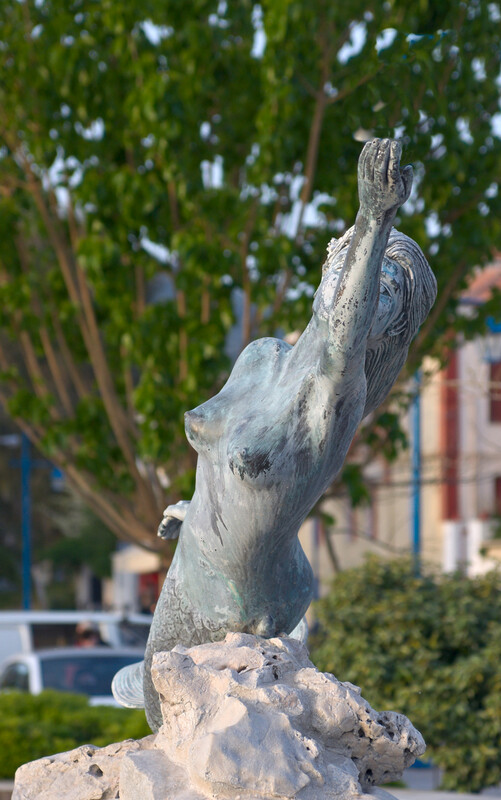 Mermaid Fountain on Poros. Photo by Dmitry Shakin. Mermaids have a long history in Greece, going back to the Sirens and the Nereids in Greek Mythology. The Nereids were sea nymphs or mermaids, and were daughters of Nereus, oldest son of Pontus (The Sea) and Gaia (The Earth), and grandfather of the hero Achilles. Additional images: More high-quality images are needed. If you would like to help with additional photographs of this sculpture, please contact us. Photos must be yours, 10 megapixel or better. We can only accept photos if you give us full rights to use them in print and digital media.